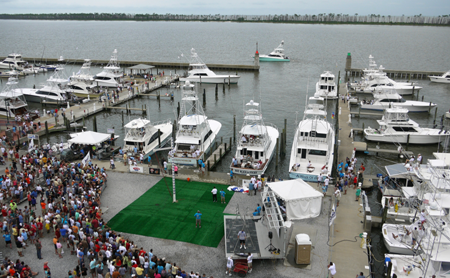 Starting June 6th more than 70 boats will compete for more than $1.5M in prize money at the 20th anniversary of The Mississippi Gulf Coast Billfish Classic. 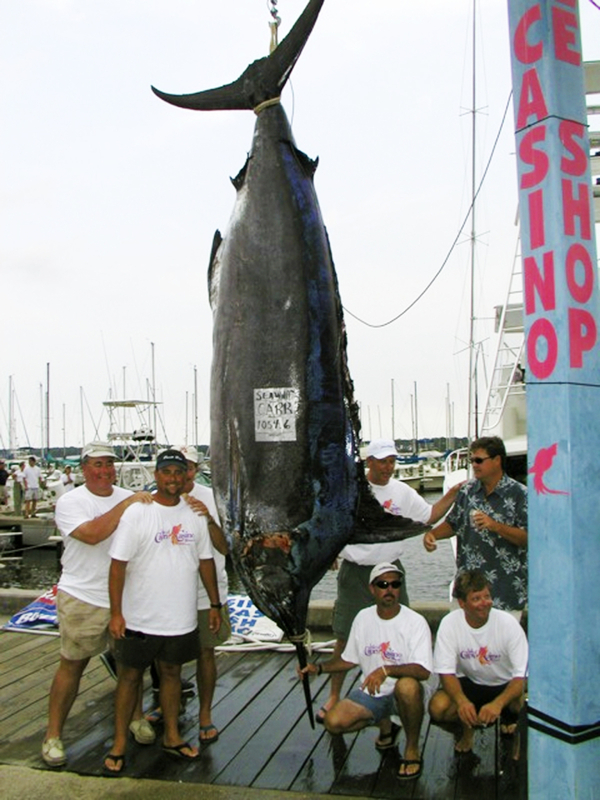 The tournament is regarded as the premier billfish tournament in the Gulf of Mexico. 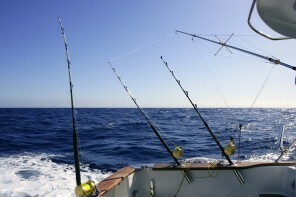 The event is known for its world class offshore bite, record setting fish, and huge cash payouts. 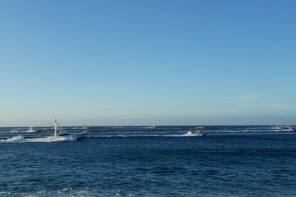 The exciting atmosphere is also a draw for spectators who show up for the food, the dock parties, the gaming and to celebrate the boats, the captains, the crews, and the weigh-in. 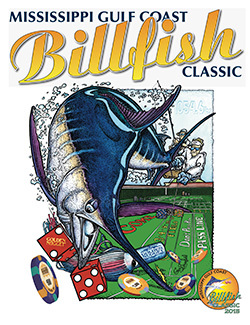 Over the last 20 years The Mississippi Gulf Coast Billfish Classic has become one of the top big-game fishing tournaments in the world. With consistently more than $1M in prize money on the line, the event attracts top captains and crews. In fact, Barry Carr aboard the Sea Wolff set the Gulf of Mexico blue marlin record in 2002 with a 1,054.6 lb fish caught during the Classic. There also 5 other state records that have been set during the tournament for blue marlin, bigeye, yellowfin, and bluefin. There is one change to the rules this year to promote the fact that this has always been a family event. 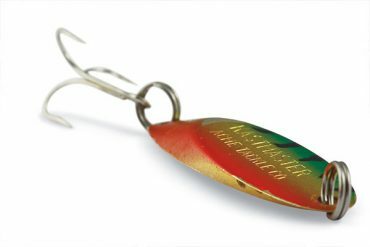 Tournament Director Bobby Carter is excited to announce that “for 2016 all junior anglers 16 years and younger can fish for free aboard registered boats. 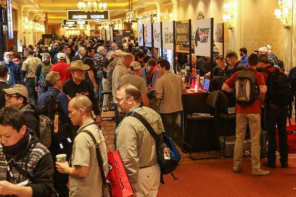 And they will be eligible in all tournament categories, not just the junior angler award.” This is tremendous news for the events 20th anniversary and we hope it serves to attract more young anglers to the sport. Don’t miss the awesome dock party kicking things off on Tuesday the 7th with seafood jambalaya, crawfish, and live music. Then compete in the “Go Deep” golf scramble the morning of Wednesday the 8th. After the tournament registration and captains meeting later that day there is a captain and anglers kick-off banquet that concludes with the always-popular Miss Billfish Classic Bikini Contest. Gulf Coast Yachts Group and Hatteras Yachts throw the “Hatterascal Hangover Clinic” party Thursday morning followed by the noon boat parade. Fishing starts at 12:01 Thursday the 9th. The scales open at 3 p.m. Friday and Saturday and are free to the public with live entertainment, sponsor booths, food and beverages.